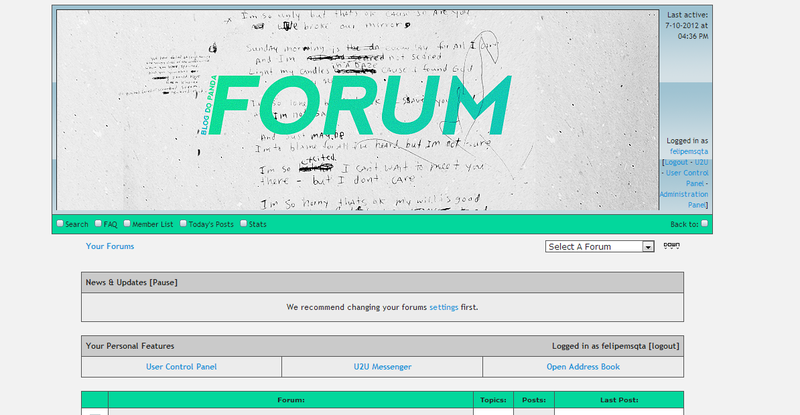 Hello, I used to have a forum a long time ago, and I had installed the 1.9.5, where I did myself the customization, and now I can't do it anymore and I'm afraid do delete something and turn it into a headache. How can I do all these things? Somebody please, could help me? Just a week or two ago I showed someone else... How to do almost the same you are asking for. But XMB 1.9.5 is very very old and unsafe. And to be honest, I don't really remember how to do anything there. Are you sure you don't want to upgrade to a ... more recent version? 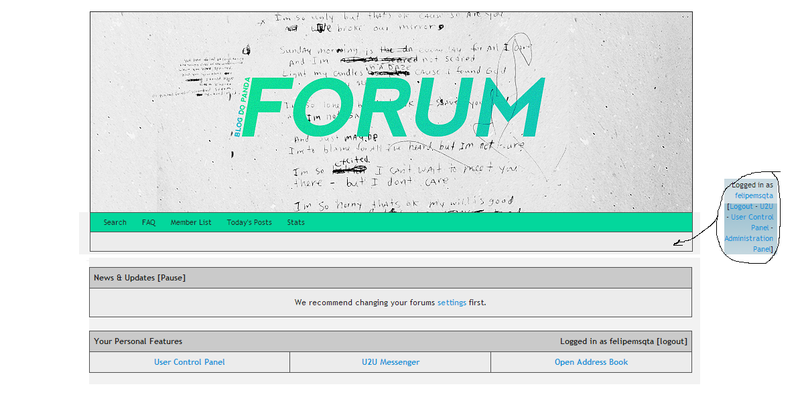 Thanks a lot, you helped me a lot, but just a question... How can I let just the imagem in the header, without the borders? The logo , outside of the table. That's simple HTML , use this header template. If you want to remove the images in the links from the menu, look up the links in the header.php and remove the image tags there. If you want the "last visited" text gone, delete the $lastvisittext variable from the header template.